The rapid rise of artificial intelligence (AI) promises to revolutionize society. Here, in Germany, AI is a key part of Germany’s digital transformation initiative and although this surge will bring about many new opportunities, there are also many questions. Today, German citizens are increasingly wondering about the effects of AI on their daily lives. 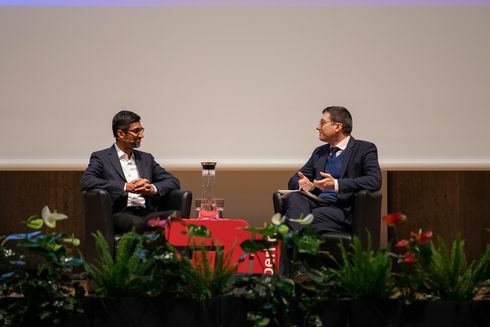 On the 22nd of January 2019, TU Berlin held a session on “Fostering Responsible Innovation: A Conversation with Google’s CEO Sundar Pichai.” Hosted by Prof. Volker Markl (Chair of TU Berlin’s Database Systems and Information Management Group and Chief Scientist of the German Research Center for Artificial Intelligence, Berlin Office), with an audience of over 1200 students (and other of TU Berlin’s academic community), he had an opportunity to interview Mr. Pichai (as CEO of Google), pose audience questions, and hear his views on AI and its impact on society. The interview (video) with Sundar Pichai is available in the TU Berlin YouTube channel.